The Blog Game: Tag! Your it! Time for something completely different. I have been tagged by Alon Ben Joseph who renamed the original game ‘8 things you don’t know about me” to “The Blog Game: Tag! Your it!”. I’ll play of course. 5. E-mail your tagger, the link to your post. 1. I was born in Enschede (east part of The Netherlands) and I have lived there the first few months of my life, before moving to some other village in the area. Anyway, we lived above one of the band members of Teach In. 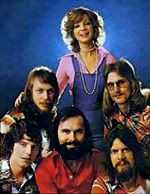 Teach In won the Eurovision Song Festival in 1975 with the song ‘Ding a Dong’. 2. My middle name is Hendrik. Robert Jan Hendrik Broer. The first three of my names are all separate, however, I use Robert-Jan (with a dash) as my calling name. My father’s name is Hendrik, my grandfather’s name is Hendrik, my greatgrandfather’s name was.. you get it. However, biggest difference is that I am the first where Hendrik is my Christian name and not part of my ‘first name’. One of my forfathers, also a Hendrik Broer, was a painter in Giethoorn. In the Wikipedia page of Giethoorn, he is marked as a famous citizen of Giethoorn. 3. 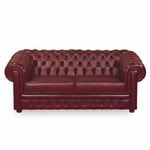 I love chesterfield chairs. I really do. However, our home is like a copy of the Riviera Maison stores, so it wouldn’t fit. And if it would fit our current interior, my girlfriend wouldn’t let me own one anyway. 5. I love schnitzels. Especially those made by restaurant Bulten or those made by myself. Use good meat, enough flower, eggs and breadcrumbs. You can find a good receipe here. 6. Aah, finally. Watches. I am very happy with the ones I own right now and couldn’t imagine I would have this collection when I started about 10 years ago with this hobby/passion. 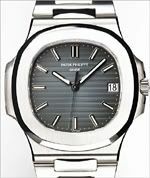 My current dreamwatch is either a Audemars Piguet Royal Oak Jumbo 15202 or a Patek Philippe Nautilus 5711/1. Still in doubt. I changed through the years from liking complicated and/or vintage watches to very ‘simple’ wrist watches. I still like a good moonphase or annual calendar, but nothing beats just three hands and a date window :). However, it will take a few years before I can buy one I’m afraid. Or actually not, because what would be next? Perhaps it will be the crown on my collection one day. One should slowly work to that. Another ‘complication’ I do like about watches, is a chronograph. I have my dreamwatch chronograph already, a vintage Speedmaster Professional with the old caliber 321. I don’t think there is a chronograph which has better readability and has a nicer history. Although certainly not the most expensive watch of my collection, I cherish my Speedmaster Pro! 7. Instead of Hendrik, my middlename should be ‘headache’. I have ‘normal’ headaches, but I also have the more seldomly form of headaches called a cluster headache. It’s very painful and comes in periods. My cluster headache periods vary from a year to a year and a half and then it stays with me for several weeks. There is medication, but unfortunately no cure. 8. I currently own a ‘neo-vintage’ 🙂 BMW 525i (E34) in good condition. I love to drive this car, despite its age. It is packed with features and everything still works fine. Actually, not a single squeek when I drive it. Let’s see how a 2 year old Renault of Alfa is handling :). Anyway, despite the fact that my heart goes out to BMW and that my next car probably will be a newer 5-series (E39) with an automatic gearbox and leather interior, my ultimate car would be a Mercedes Benz Gullwing SL300. 1. 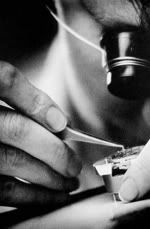 Chuck Maddox – long time watch friend and the uncrowned King of chronographs! 2. Gerard Nijenbrinks – owner of Horloge Platform Nederland and – in the mean time – friend from The Hague! I wonder if this English game fits his Dutch blog. 3. Frank Geelen – Frank is a passionate watch adept and also has his blog Monochrome! He is a contributor on many forums and blogs. 4. Elmar – Elmar is owner of the Oyster Info website, which also includes a blog. 5. John Biggs – This list shouldn’t exist without his name on it. Also a watch blogger of the first hour with his WristwatchReview.com website. 6. ‘Explorer Johan’ – Long time friend and since almost a year, finally owner of a nice time piece. He used to have a blog, but it died. Perhaps a reason to bring it back to life? 7. Velociphile – Velociphile has one of the best blogs on watches. Period. 8. Roger Ruegger – He has a great website on diver’s watches and runs a blog as well! Excellent place to start your diving watch experience.